This paper presents an object-oriented data model for an image database. The formal presentation of the model stems from an analysis of the domain of remotely sensed radar images of the Arctic ice. 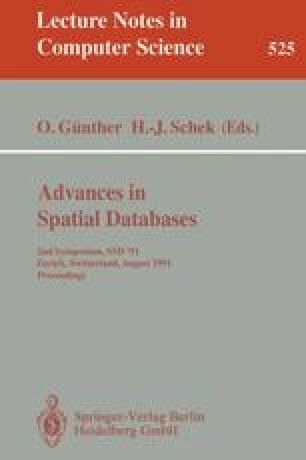 The data model maintains the distinction between generic spatial attributes and representation dependent spatial attributes. This results in a four-layer network of objects, attributes, relations, events and representations. In the representation level, the data model is very close to a functional data model. The model serves as the formal foundation of the VIMSYS (Visual Information Management SYStem) project, which aims to perform content and similarity based query processing of large image repositories.